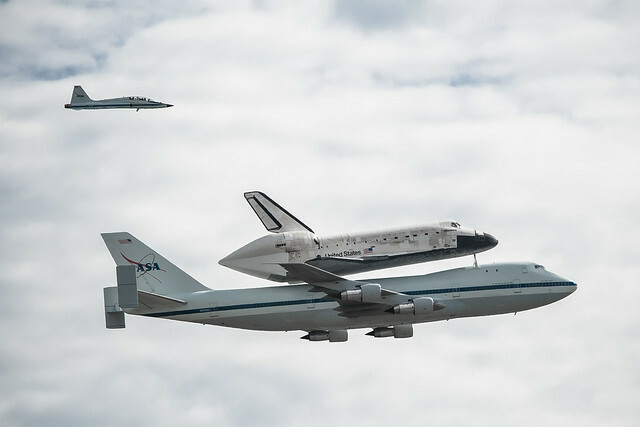 Took the morning off to shoot the DC fly-by of the Space Shuttle Discovery on its way to Dulles. I’d originally planned to head to DUlles, but changed my mind at the last minute, deciding that the Air Force Memorial would be the perfect spot. Here’s a slideshow of the results. Shot it with a 70-200 f/4, which gave me some nice pictures like the above. Still, if I’d really wanted to manage some better context to the photos, I should have gone with something wider right under the Air Force Memorial, and perhaps rented a 400 prime to get it as it passed the Washington Monument & Capitol. In the end, my favorite shot of the day from others? Is a silly little Instagram photo.